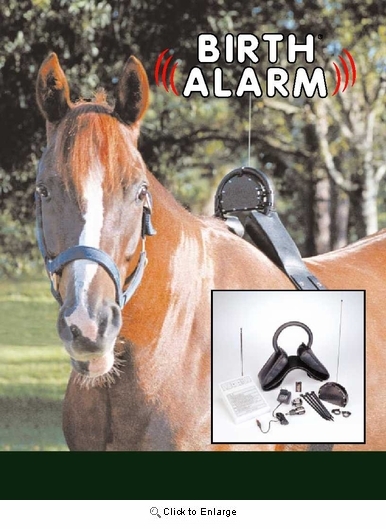 Birth Alarm Monitoring system for Horses. Birth Alarm consists of a transmitter and a receiver. 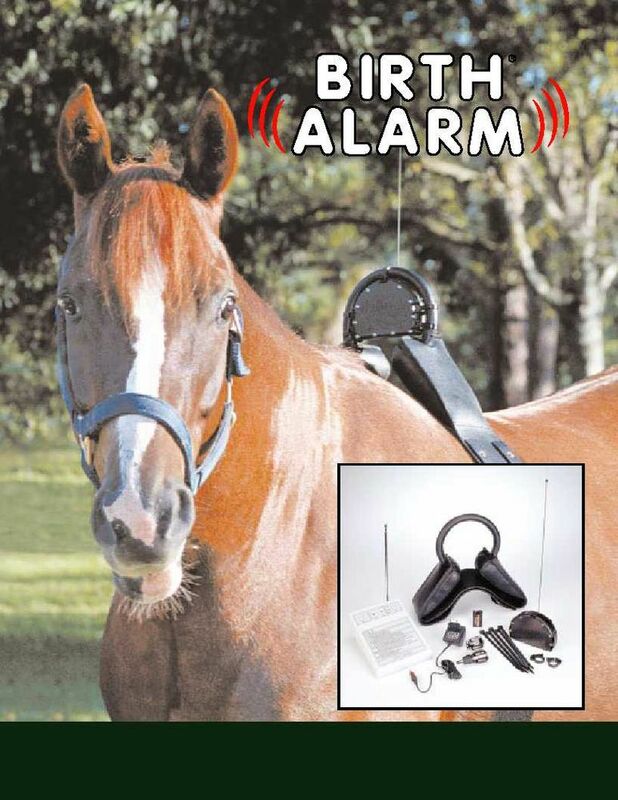 The transmitter is attached to an anti-roll girth which is placed around the horse’s withers. The mare experiences no discomfort whatsoever from the leather girth. The transmitter has a range of over 500 yards. The transmitter is waterproof, so the system is also ideal for births that take place out-of-doors. You set the receiver in the desired place, for example in the bedroom, and plug it in. A 12-volt adapter is available for isolated locations.